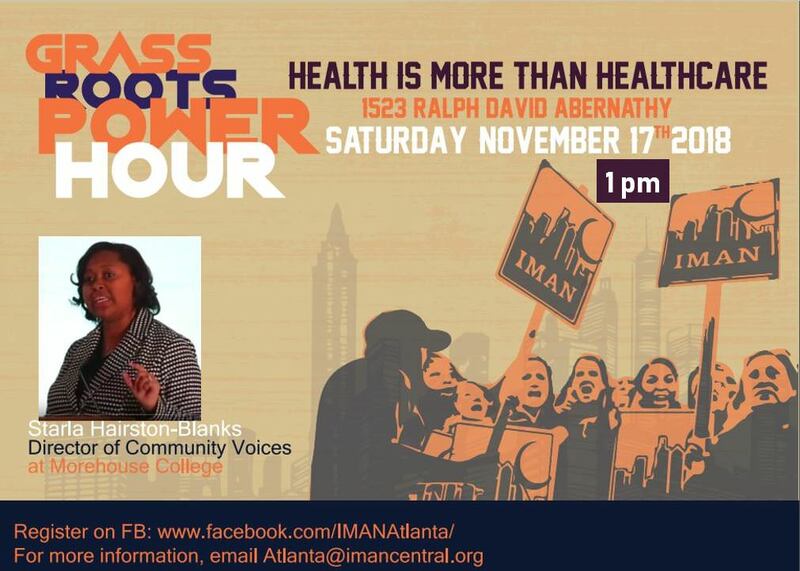 Nov. 17, 2018, 1 p.m.
IMAN Atlanta invites you to our FINAL Grassroots Power Hour of 2018! Our distinguished community leader will be Ms. Starla Hairston Blanks of Morehouse School of Medicine. Ms. Blanks' work focuses on health disparities, health equity, and policy. At this power hour, we will explore health beyond health care. How can we #FightFearBuildPower with our health? The event is open to all community members and families. Plus free food! Edit This Event Last Edited By: IMAN Atlanta on Nov. 14, 2018, 3:05 p.m.